Generally cloudy. Slight chance of a rain shower. High 64F. 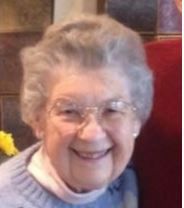 Winds W at 5 to 10 mph..
Marion Jean Paarmann died Tuesday in Corvallis. She was 91. She was born in Albany in October 1927 to Miller and Mae Haley. She was one of six children. Marion attend Central School and completed her education by graduating from Albany Union High School. On December 7, 1945, she married William (Bill) Paarmann. They were married over 73 years at the time of her passing. They lived in Corvallis for over 50 years and attended several local churches. Marion loved flowers and working in her rose garden. She also enjoyed reading, sewing and above all else; spending time with Bill. She survived by her husband, Bill; daughter, Peggy; her brother, David; and several nieces and nephews. There will not be a memorial service. In lieu of flowers, we ask that you donate to the charity of your choice (www.demossdurdan.com).